The Boston University men’s hockey team now has its first commitment from a player born in 1998, as 15-year-old phenom Clayton Keller announced his commitment to BU via Twitter Thursday. “Proud to announce that I have committed to Boston University for my college hockey career,” Keller wrote. 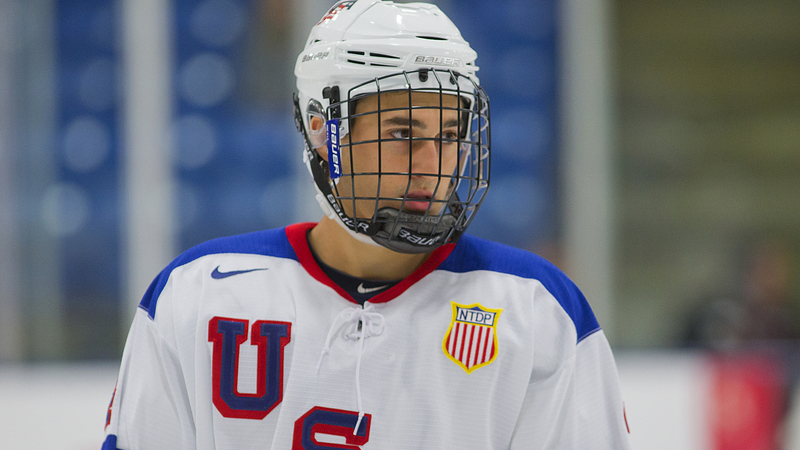 Keller, who is going to be a sophomore in high school, is set to arrive at BU in 2016 according to a USHR report. The 5-foot-10, 144-pound forward compiled 58 goals and 71 assists in 60 games with the Shattuck St. Mary’s Bantams last season. Shattuck St. Mary’s has a history of producing great hockey players, as current NHL stars Sidney Crosby, Jonathan Toews and Zach Parise all have been a part of its hockey program. Nathan MacKinnon, who was the first overall pick of the 2013 NHL draft, recorded 54 goals and 47 assists in 58 games for the Tier I bantam program during the 2009-10 season. Below is a highlight video of Keller.